Clavaseptin 250mg Palatable Tablets are an effective antibiotic used in the treatment of bacterial infections in dogs. Clavaseptin Palatable Tablets - 250mg is a Prescription Only Veterinary Medicine and by law requires a prescription from your vet. Clavaseptin 250mg Palatable Tablets are an effective antibiotic used in the treatment of bacterial infections in dogs. The tablets are chewable and flavoured, providing a palatable way for your pet to combat a variety of infections. When given as directed by your vet, the active ingredient, Amoxicillin, is effective against certain infections in dogs. 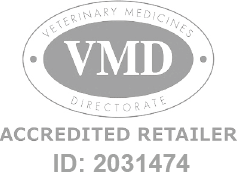 Clavaseptin Palatable Tablets are manufactured by Vetoquinol and developed specifically for dogs. As such, they must never be used in other animals.